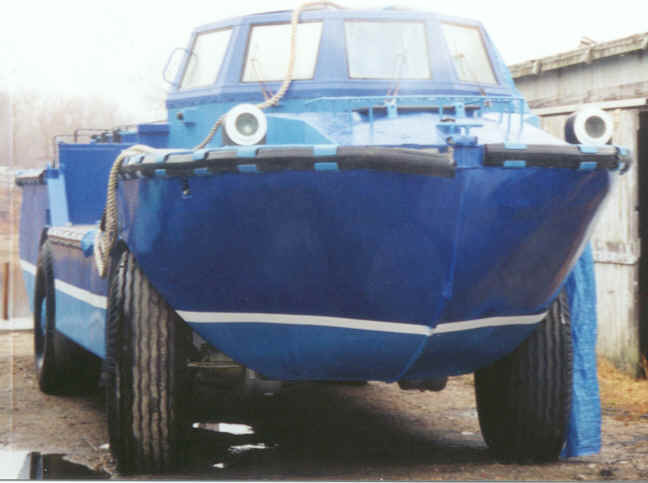 Wareham Steamship has amphibious carriers available in various stages of reconditioning. Some have been fully refurbished! Prices vary upon condition. OFFERS WANTED FOR THE SPUD BARGE WITH CRANE! 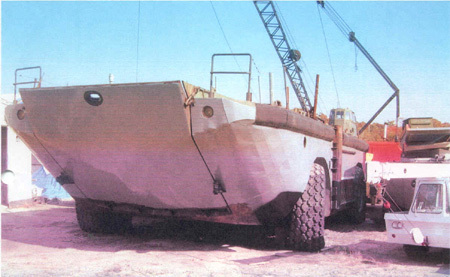 The LARC, (Lighter, Amphibious, Resupply, Cargo) is an amphibious transport vehicle used to carry cargo from off-shore supply vessels to a beach, or inland transport areas. 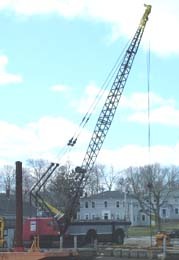 The LARC is normally operated by a two-person crew and is capable of transporting extremely large loads of cargo during land or marine operation. The LARC is powered by two 300 hp diesel engines. (Under emergency conditions, the unit may be operated on only one engine). On a hard surface, the LARC is capable of traveling 30.0 mph and on water, the maximum speed is 9.5mph. The LARC has been designed to operate over rugged terrain without danger to the crew, cargo, or to the unit itself. It is ideal for rescue missions, disaster recovery, salvage, and more.